Traditionally, advice for attracting women goes like this: do something romantic, say something flattering, carry yourself with confidence and dress nice. But what to do when the girl you're after doesn't want to be thought of as a girl at all, but rather a free-spirited woman whose life is centered around nontraditional things? 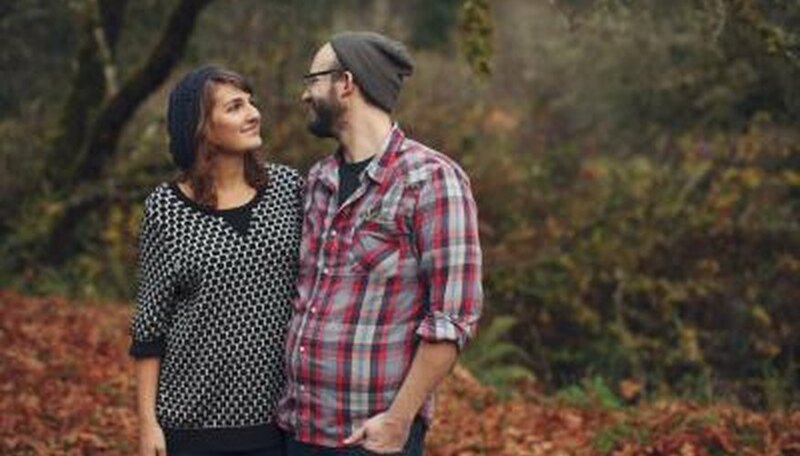 Women who run in hipster circles are hard to predict, but there are a few general behaviors that will improve your chances of gaining their interest. Create art. Hipsters embrace art in all forms. They go to galleries and they go to concerts. If you are an artist, you will have a greater chance of performing for--and impressing--a hipster girl. This can segue easily into conversation. Have style. If you look at the men who hipster women typically associate with, you'll notice plenty of sameness in their style--trucker hats, funny and ironic T-shirts, thick-rimmed glasses, tight and sometimes unflattering jeans, and so on. Avoid the cliches, and find something that looks good on you and wear it. Have opinions. Being a hipster is about being yourself. You can express your opinions through talking about movies, books, food, just about anything. Have something compelling to say. Have original thoughts. Have wit. Women are attracted to men who make them laugh, but for a hipster girl it won't do to tell a mundane joke or recite lines from a funny movie. Hipster girls look for men who can think on their own, and genuine wit will get you far. Know that opposites attract. Hipster girls are probably used to hanging around people who act, dress and think exactly as they do. They may be tired of this and yearn for something different in their mates. So be yourself and don't feel compelled to act like her or her friends; what you think might be a turnoff for her might actually be the thing that makes her take interest in you. Always be yourself because no relationship will work long term if you are pretending. Hipsters may look alike, but everyone has her own personality. If you don't hit it off with one hipster girl, move on to another. There's someone that is right for you out there. Zaremba, John. "How to Attract Hipster Girls." Dating Tips - Match.com, https://datingtips.match.com/attract-hipster-girls-5155475.html. Accessed 19 April 2019.